Laura Ashley CX155LA has so much to offer for the price. People underestimate its quality and I don’t know why. This machine is more like a better upgraded version of CS6000i. Laura Ashley CX155LA is a beautiful looking computerized sewing machine. It is a limited edition model from Brother. It comes with 25 year limited warranty. 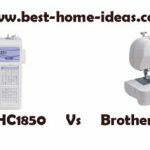 This sewing machine comes with 155 built-in stitches which include 8 1-step-auto-size buttonholes and 55 alphanumeric stitches. 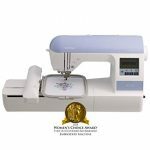 It comes with 11 sewing and quilting feet for creative work. The included wide table gives you 33% extra workspace. You can view your stitch settings on the back-lit LCD display. It also has needle up/down feature. It has a foot pedal as well. 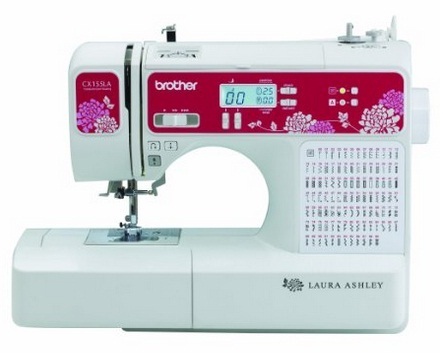 Laura Ashley CX155LA has a speed control and start/stop button. 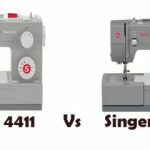 The drop-in bobbin system adds to the quality of this sewing machine. There is an LED light for illuminating the workspace. The automatic needle threader on board makes threading very easy. Brother has included quite a lot of accessories with this machine. Most people are not very familiar with Laura Ashley CX155LA. It is a quality machine with great features, but most are unaware of this model. It does a very good job with thick layers of denim. The variety of stitches available on this machine is awesome. All the alphanumeric stitches look wonderful after stitching. The extra wide table is extremely useful for large projects. Decorative stitches are very handy during quilting. The speed control feature on Laura Ashley CX155LA lets you control the speed and you can set it in auto-pilot mode without any worries. The only limitation to point out is that the work light could have been brighter. 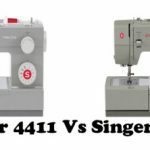 Overall, you can call Laura Ashley CX155LA a better version of CS6000i which also is a very good sewing machine. 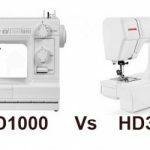 Unlike CS6000i, this sewing machine has a lot of features that an advanced sewer will love such as larger table, more stitches, back-lit display, easy free motion sewing etc.